no heating in the property. Understanding the seriousness and urgency of the situation we were onsite within half an hour of the initial call much to the delight of all concerned. Our plumber fixed the problem swiftly repairing a split to the pipe and repairing a leaking inlet valve in the downstairs toilet which resolved the leak much to the satisfaction of the anxious customers. It was an old house where there were a number of non urgent issues which we were happy to give advice on. 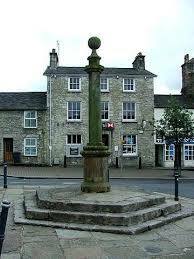 If you need a Milnthorpe plumber please call 01539 468059.
and small villages surrounding Kendal. For instance we were in Stavely recently where a gentleman told us he had a leak in the ceiling where water was pouring down near the light fixtures. We located the source of the leak promptly and fixed it. Another job involved an outside tap which was leaking in Burneside in Kendal. A handyman on site had tried to install a new tap which had not worked .Our plumber swiftly rectified the problem.